Chief George MacMillan. A short biography. George MacMillan was born 1930 in London, England, the eldest of the five children of the late General Sir Gordon H. A. MacMillan and Marian Blakiston-Houston. George went to Eton College, Windsor, and then read Classics at Trinity College, Cambridge. He initially pursued an academic career - despite being handicapped from an early age by an hereditary eye disease (Retinitis Pigmentosa) which makes it impossible for him to read from the page himself - and, after teaching classics at Wellington College, Berkshire, for ten years, was in 1963 invited to Canada to spend a year as “Visiting Professor in Religious Studies” at Trinity College, Toronto. In 1961 George had married Jane Spurgin, an Oxford University graduate and medical social worker at St.Thomas’ Hospital in London and, together with their infant son Arthur (born 1962), George and Jane enjoyed a memorable year in Canada, where their second son Richard was born, and where they had the chance to meet many descendants of emigrant MacMillans. Upon their return to Britain, and after doing a course in Personnel Management at Strathclyde University, George was offered a post as Lecturer in Religious Studies at Bede College, Durham, in the north-east of England - which fortunately was within easy reach of Finlaystone, the estate which George had inherited in 1955 from his maternal grandmother, and where his father settled after retiring from the army. 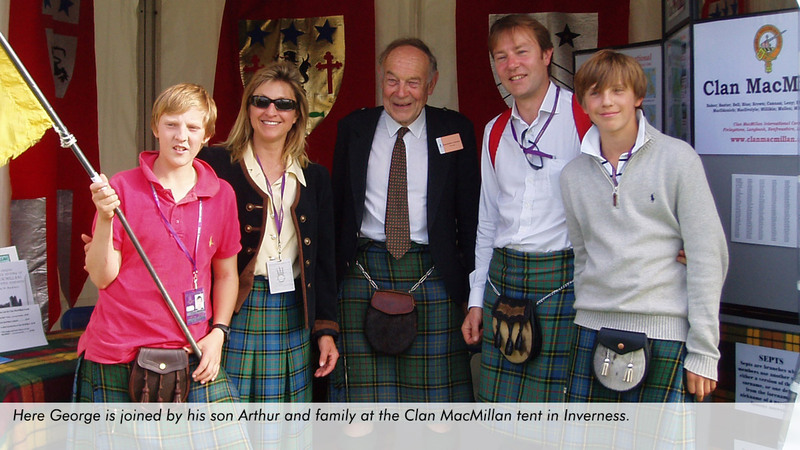 George and Jane’s third son, Malcolm, was born in 1967 at Durham - which they left in 1974 to join Sir Gordon and Lady Marian in running Finlaystone. 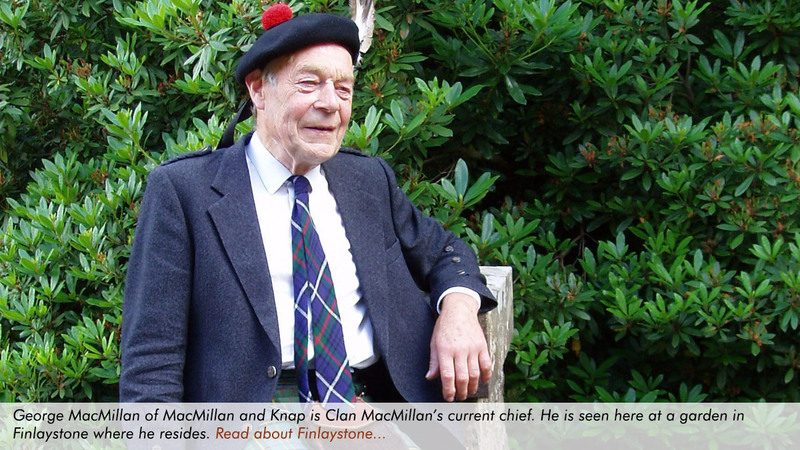 Finlaystone had by then become the home of Clan MacMillan, since in 1952 George’s father had been declared by the Lord Lyon to be the Hereditary Chief of Clan MacMillan, as the heir of Sir Gordon’s great-great-grand-uncle Duncan MacMillan of Dunmore who had died childless 153 years before. 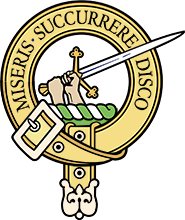 The discovery of a chief stimulated a renewal of interest in their clan roots by MacMillans all over the world, and George represented his father on a number of occasions at overseas gatherings of the clan, before himself succeeding as MacMillan of MacMillan following Sir Gordon’s death in 1986. Though blessed in later years with a happy and ever-growing family - two sons and five grandchildren - George and Jane were faced in 1985 with the tragic loss of their middle son Richard in an automobile accident; which prompted them to set up a charitable trust in his memory. Jane MacMillan was active on the boards of local hospitals and the area branch of Macmillan Cancer Relief , while George is a past member of the board of the nearby Quarriers Homes and continues to be involved in other charitable work. 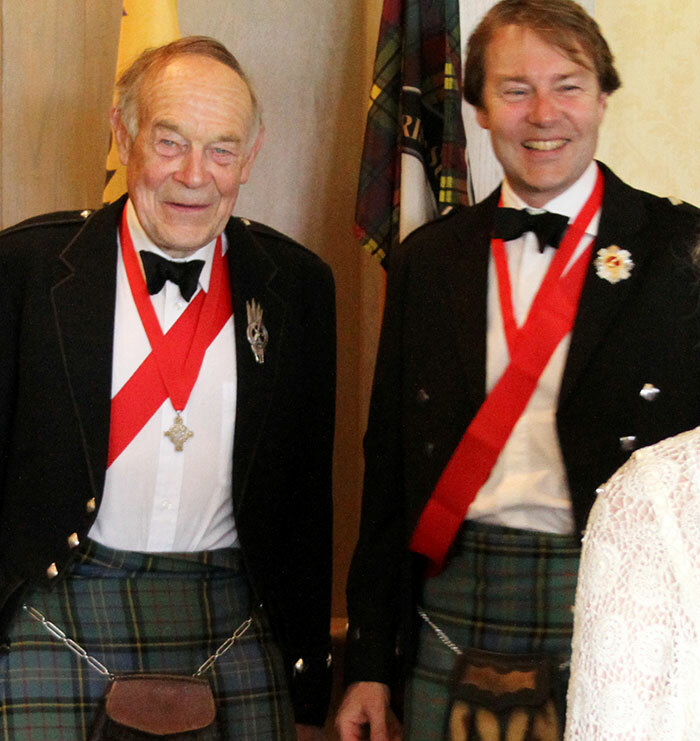 He is also an elder of the Langbank parish church, and of course an active member of the Standing Council of Scottish Chiefs. George is a regular traveller to clan events in Australia, New Zealand, Canada, and the United States, and has been an "Honored" or "Distinguished Guest" at many overseas Highland Games - including, Stone Mountain, GA, (where his North American inauguration as chief took place in 1988); Fresno, CA; Grandfather Mountain, NC; Jackson, MS; Glasgow, KY; Maxville, ON; Charlottetown, PEI and Fergus, ON. 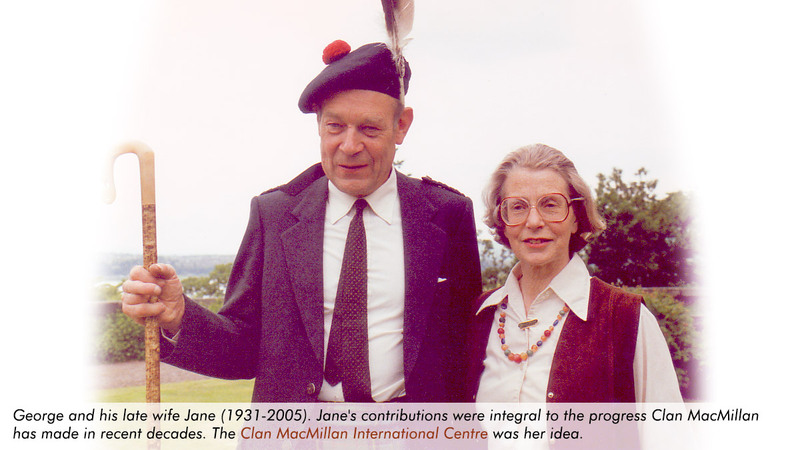 George and Jane opened the Clan MacMillan International Centre in 1991. Despite enjoying all the travelling and other activities that fill his life to overflowing, George’s first love, along with his immediate family, is Finlaystone; the gardens and woods of which he cultivates personally every day of the year that he is at home. 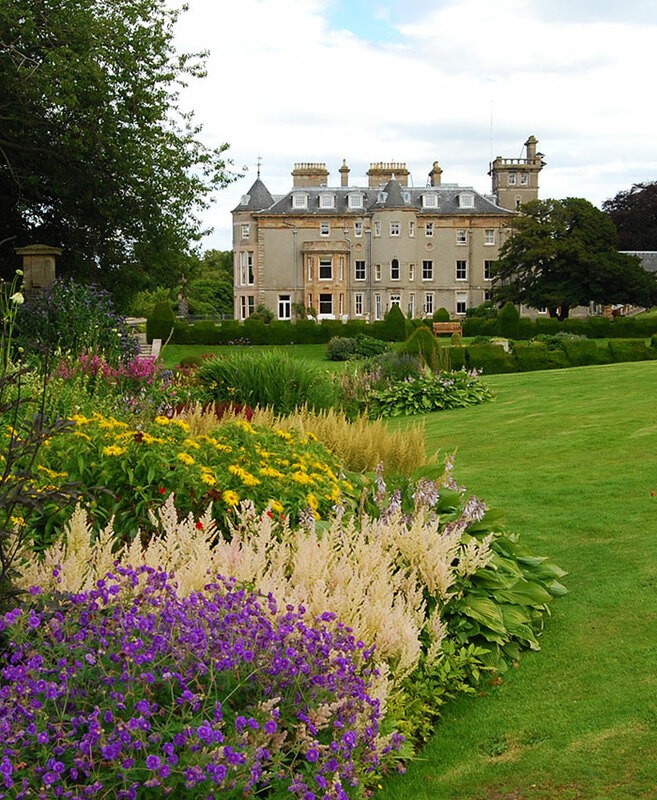 Though the estate is open daily for any visitors to admire the family’s horticultural skills (George’s sister Judy looked after the gardens for many years, and his brother David the neighbouring farmlands), MacMillans are specially catered for in the Clan Centre that George and Jane opened in 1991. Jane MacMillan was diagnosed with a serious cancer in 2004 and, after a typically brave and prolonged battle with the disease, she died in June 2005. 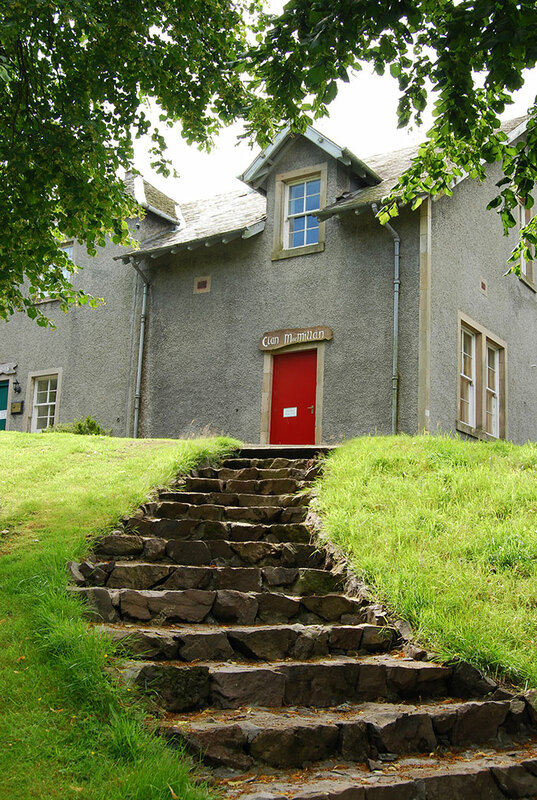 George and Jane had by then already handed ownership of Finlaystone over to their eldest son Arthur and his wife Barbara, and George now lives in a part of the mansion house at Finlaystone called "The Apple House Flat" - with siblings, son, and grandchildren all around him on the clan estate. He remains devoted to the woods and gardens that he and Jane took so much pleasure in together, and is always delighted to show them off to visiting clanspeople (preferably by prior appointment, but he's usually around the estate somewhere - if not visiting cousins around the world!). Above, MacMillan Ancient Weathered tartan. 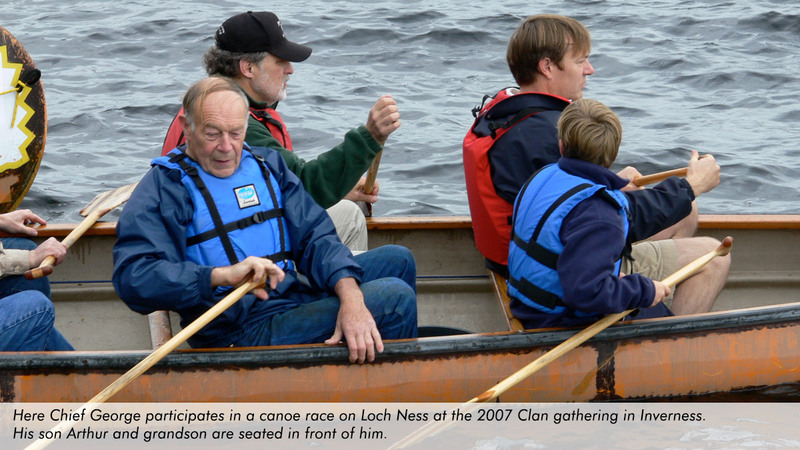 See more about Clan MacMillan tartan. A view of Finlaystone, where the Clan MacMillan International Centre and Chief George reside. 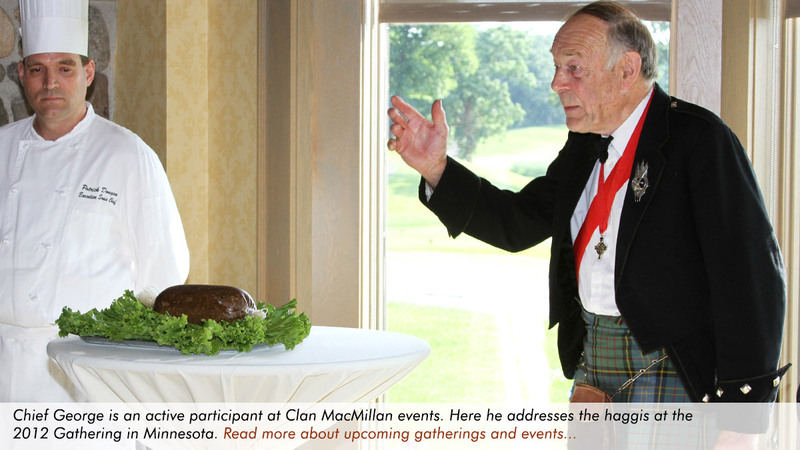 Chief George and his eldest son Arthur at the 2012 CMSNA Gathering in the Minnesota Twin Cities.